These cute , Disney Vacation Racerback Tanks are just $12.99 !!!! reg price $30 !! These are screen printed in house, please allow up to 14 days. Heading to the happiest place on earth? 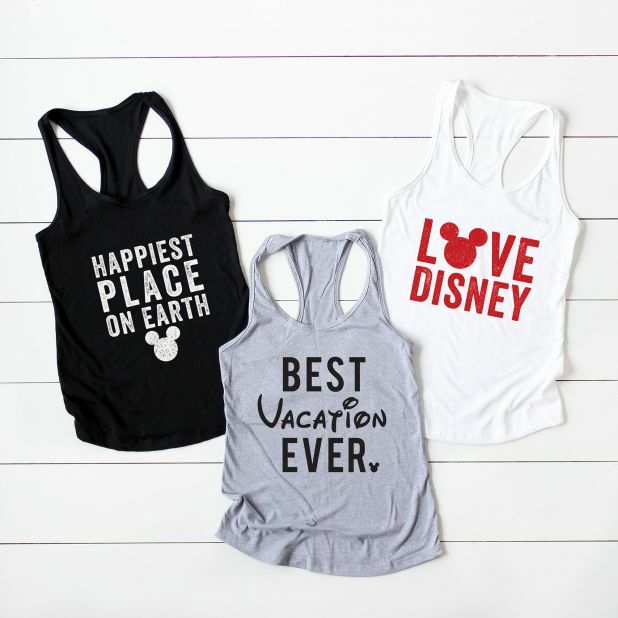 No Disney vacation is complete without one of these cute tanks! Mom Life is the Best Life Tee is just $12.99 !!! reg price $26 !!! Mom Funny Tees , are $13.99 !!! reg price $29!! Fancy Monogram- Bottle Opener for just $14.95 !!! reg price $45!!!! Auntie & Grandma Tees for $12.99 !!! reg price $30 !!! !